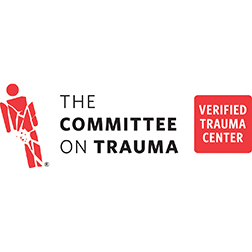 Established by the American College of Surgeons in 1987, the COT’s Consultation/Verification Program for Hospitals promotes the development of trauma centers in which participants provide not only the hospital resources necessary for trauma care, but also the entire spectrum of care to address the needs of all injured patients. This spectrum encompasses the pre-hospital phase through the rehabilitation process. Verified trauma centers must meet the essential criteria that ensure trauma care capability and institutional performance, as outlined by the American College of Revised Surgeons' Committee on Trauma in its current Resources for Optimal Care of the Injured Patient manual.